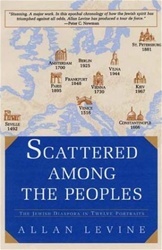 In Scattered Among the Peoples, historian Allan Levine presents a vivid and distinctly human perspective on how the Jewish people survived eight hundred years of persecution and forced migration, building and rebuilding their lives and communities. Structured as a chronological series of twelve moment-in-time portraits, focusing on individuals and their interaction with their families and society, the narrative carries readers through the economic, political, social and intellectual climates of some of the world's most famous and fascinating cosmopolitan centers. From the expulsion of the Jews from Spain in 1492, to the emigration of Soviet Jews from Russia following the Six Day War in Israel in 1967, Levine's masterful account describes expulsions and scandals, false messiahs and the first ghetto, assassinations, blood libels, the learning and wealth that sprung up in distant cities, and some devastating reversals of fortune. Above all, this compelling saga chronicles the lives of a vibrant cast of characters-well-known historical figures, as well as many who have been forgotten. The successes and the failures of so many-as teachers, rabbis, merchants, writers, soldiers, and physicians-add a colorful and accessible dimension to this sprawling history of the Diaspora. 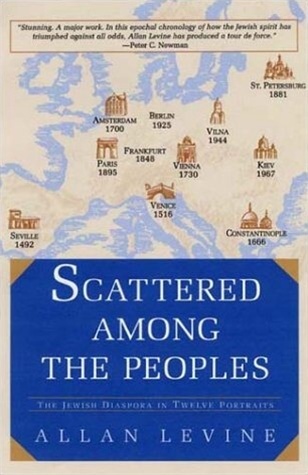 Scattered Among the Peoples is an impressive and immensely readable book, one that is an important contribution to the literature of Jewish history.